Ground level decking is a great way to give that “holiday” feel to your surroundings. 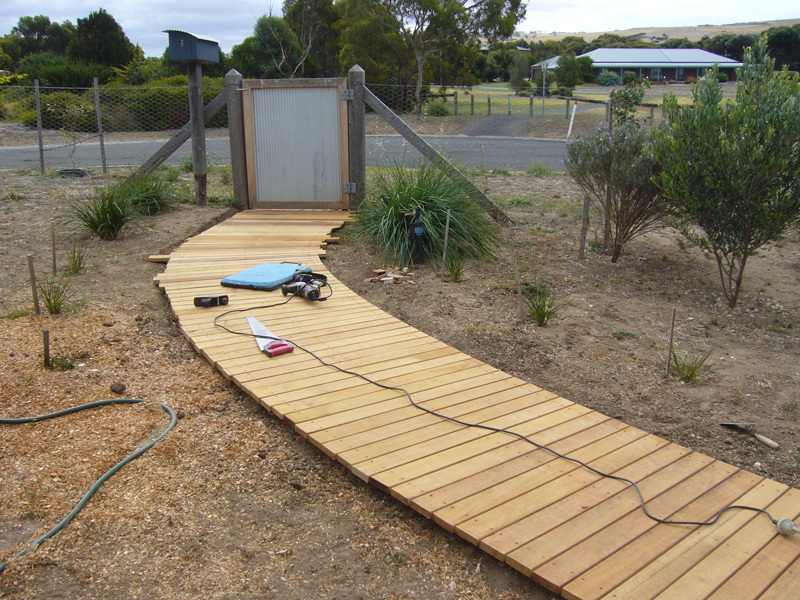 Not only does a decked path look great, it is a good way to encourage people to stay of sensitive landscape areas. Using Prorail as a support system, decked paths can be achieved with less cost and far less impact to the environment than other construction methods . The need for extensive excavations, posts and bearers has been eliminated, it’s like skipping steps 1, 2 and 3 in the construction process and going straight to number 4. Prorails unique shape means curves and undulations can now be incorporated in the design. There are no wobbly boards in a Prorail path, deck screws bite strong in the W P C material to give maximum hold.